A FEW “MASTERS” AND THE REST: IS THAT A SUSTAINABLE MODEL FOR THE FUTURE? Last month, a neurosurgeon called me from his operating room while he was operating on a patient with an 8 mm ruptured (grade I Hunt & Hess) middle cerebral artery (MCA) saccular aneurysm. The reason for the call was that he had lost the inferior division of the MCA during the clipping and needed advice. He and I had a chance to speak again a few days later, and I found him to be a dedicated, board certified neurosurgeon who was trained at a highly respected institution. The last aneurysm surgery he had done was 4 months prior, with a history of approximately 5 craniotomies for aneurysms per year. Ideally, he does not wish to do aneurysm surgeries. The day he called me from the operating room, he was doing his duty, as expected by his hospital and community. The patient ended up with a large MCA stroke. Not only was this situation unfair for this neurosurgeon, but, more importantly, it was not fair to his patient. In the United States in 1988, the New York Health Commissioner was confronted with data demonstrating a 5-fold variation among hospitals in short-term complications and mortality for cardiac surgery. The actions that followed, in my opinion, may prove to become some of the most seminal and dramatic in the practice of surgery as we know it. Over the next five years, the state started to publish and make public outcomes for coronary artery bypass graft (CABG) surgery for each hospital and for each surgeon (1). The hospitals in NY took unprecedented actions; some hospitals restricted privileges of low-volume surgeons, with 27 of these surgeons stopping the practice of cardiac surgery (2). In the last year of their practice, the adjusted CABG mortality for these 27 surgeons was 11.9%, compared with the statewide rate of 3.9% in the same time interval (3). The state of New York had the highest decrease in mortality from cardiac surgery in the US in this time interval (3,4). Dacey and colleagues from Washington University in St. Louis reviewed mortality rates from aneurysmal SAH according to hospital case volume in 18 states in the US. They demonstrated that hospitals with low annual admissions (1-9 patients) had significantly higher in-hospital mortality (38.7%) compared to hospitals with high SAH annual admissions (36-158 patients), which had a mortality rate of 27% (5). 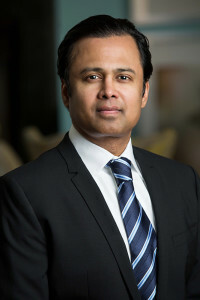 Solomon and colleagues from Columbia University in New York reviewed the New York state database of 208 hospitals and found a 43% reduction in mortality in patients undergoing craniotomies for cerebral aneurysms in hospitals performing more than 30 craniotomies per year compared to hospitals performing less surgery (6). Clement et al. from the University of Pennsylvania in Philadelphia demonstrated that a volume-outcome relationship exists in the treatment of neurotrauma in the US (7). The impact of surgeon volume on the outcomes after surgery for lumbar spinal stenosis was reviewed by Dasenbrock and colleagues from the Brigham and Women’s Hospital in Boston, the Mayo Clinic in Rochester, and the Johns Hopkins University in Baltimore. They demonstrated that patients treated by very-low volume surgeons had significantly higher complication rates compared to patients treated by very-high volume surgeons (8). Using a nationwide hospital discharge database, Barker and Carter from the MGH in Boston showed that large-volume centers in the US had lower in-hospital post-operative mortality rates than centers with lighter caseloads, both for craniotomies and needle-biopsies for primary supra-tentorial brain tumors (9). Smith and Barker from the MGH in Boston reviewed nationwide inpatient data on the outcomes of craniotomies for the resection of pediatric brain tumors in the United States and demonstrated that mortality and adverse discharge disposition rates for pediatric brain tumor craniotomy were lower when the procedure was performed at high-volume hospitals and by high-volume surgeons (10). Englot et al. from the UCSF demonstrated that the incidence of perioperative adverse events following lobectomies for epilepsy was significantly higher at low-volume hospitals compared to high-volume centers in a nationwide inpatient sample (11). In a special article in Neurosurgery (Nov 2012), Drs. Edward R. Laws, Nelson M. Oyesiku, and Daniel Kelley, all respected authorities on pituitary tumors, provided a strong rationale for “Pituitary Centers of Excellence”. The statement was based on the vision to provide comprehensive care to patients, provide better residency training, and contribute to research (12). The history of organized medicine, especially here in the United States, has been one of reacting to changes imposed by government and society rather than being proactive. The two most impactful examples are the Medicare Bill signed by President Lyndon B. Johnson in 1965 and the Affordable Care Act (ACA) signed by President Barack Obama in 2010. In both situations, the American Medical Association (AMA) failed to anticipate, and ultimately acknowledge, important changes taking place in society that were driving the need to develop new plans and strategies (i.e., health provisions for the elderly in the 1960s and the coupling of reimbursement with clinical outcomes in this decade). In both situations, the AMA had to accept government-based mandates. I would like to believe that had the AMA been more perceptive in anticipating the needs of society and understanding the legislative landscape, including the key drivers behind Congressional and Executive Branch action, then perhaps the AMA and physicians at large would have been able to produce and promote their versions of both the Medicare system and the ACA. Perhaps if the AMA had been more proactive, rather than reactive, the resulting legislation would have been much better designed to serve the American public, as it would have been authored by the key delivers of health care, physicians. There exists a significant divide between the newly mandated outcome based re-imbursement, the almost certainly upon us sub-specialty based hospital credentialing, and the training paradigm in neurosurgery. As in the two historical examples previously mentioned, we are faced with the situation of addressing it ourselves or having it mandated by others. The lessons are obvious for us in neurosurgery; either we enact seminal changes to address the future of neurosurgery or it will be forced upon us by governments and hospitals in a manner that would, based on previous experience, not be in the best interests of our patients and the practice. In our current world of neurosurgery, there are those few “Masters” who are almost exclusively from academic institutions and then there is everyone else. This model is not sustainable. In order to change this and meet the new demands outlined above, we cannot rely on the standard, patchy “symptomatic” changes here and there. We, in my opinion, need to reconsider overhauling the current training paradigm in neurosurgery. Although the current paradigm was excellent in past decades, is not able to withstand the weight of the exponential increase in technologies, techniques, knowledge, and literature in every area of neurosurgery with the resident work hour restrictions in many countries. In the 1960s and 70s, the existing training model was able to produce neurosurgeons that were experts in most areas of neurosurgery. However, it is incapable of doing so now. We do not want go down the path that is well encapsulated in the colloquial phraseology “Jack of all trades and master of none.” We also need to accept that the current fellowship system for subspecialty training is essentially an apprenticeship system, and therefore there is significant variation in the quality of the training. Under this new reality of needing to produce highly subspecialized neurosurgeons, we cannot afford for the specialty to start splitting up into multiple, separate certification boards. This would have a negative impact not only on the specialty but also on the overall care provided. Vascular surgery in the U.S did just this when it split off from general surgery and created its own 5 year residency in 2007. It is my concern that if we continue on this current path, spine surgery could split off from both neurosurgery and orthopedic surgery over the next decade. If this were to happen, it would ultimately lead to worsening provision of spine care to patients. The path we traveled in the creation of a separate board for pediatric neurosurgery in the US ought to be, in my opinion, avoided for other sub-specialties in our field. 1. First four years of training (PGY1-4) dedicated to general neurosurgery. 2. Primary written and oral examination administered at the end of the fourth year. The oral examination would not change from the one currently administered in many countries for certification in neurological surgery. 3. One year of research (PGY5). Understanding and conducting research are critical elements for developing sophisticated neurosurgeons. It is a key element of the history of neurosurgery. In this proposed model, there is no differentiation between those neurosurgeons that choose to practice in a university setting or a private practice setting. Both would have careers dedicated to subspecialized areas in neurosurgery. 4. The final two years (PGY6-7) dedicated to subspecialty training. These two years would be conducted either at the home institution or at one of the recognized institutions within the country for that subspecialty. 5. The final written and oral examination at the end of the seventh year would be purely subspecialty based. This examination would, however, be administered by experts in the respective subspecialty. Final certification would require passing both the primary and the secondary examination to be certified as a neurosurgeon. The above model would put the field of neurosurgery in the driver’s seat. Instead of hospitals and government agencies determining the assessment of neurosurgical care and quality, the field itself would be in control. Our current philosophy of training every resident in every area of neurosurgery is respectfully an antiquated one. In the United States, we are currently adjusting curricula so that every neurosurgical resident is trained in endovascular neurosurgery. As a result, we have observed a saturation of the market with too many endovascular surgeons in the country, and this is likely to get much worse over the next few years. The model that I am proposing aims to also address this issue. The number of positions for the final two years would be based on the needs assessment of the region/country, making the proposed model applicable across varying sizes of populations. For example, a country with a population of 2 million would ideally need 2 pediatric neurosurgeons, while a country with a population of 300 million would need approximately 300 pediatric neurosurgeons. Our subspecialty training must be tailored to the projected needs. The proposed paradigm would naturally lead to the regionalization of neurosurgical care. It also moves us down a path of high volume neurosurgeons (in their respective procedures) working at high volume centers (in the respective procedures), which is in line with the outcome data cited previously. Based on this proposal, subspecialty expertise becomes a universal requirement for all neurosurgeons. In many countries, neurosurgeons in private practice perform mostly spine surgery. This model would give those neurosurgeons the mechanism to become experts in spine surgery and at equal footing with their colleagues in academic institutions. Achieving excellence in clinical judgment and technical skills for neurosurgeons globally is the core mission of the Dandy Society. As the above is purely an editorial, it has not been shared with the Dandy Board. I plan to commission a steering committee made up of some of the most respected neurosurgical educators with the task of critically analyzing the above proposal from an educational, curriculum (residency divided into a 4-1-2 system), and neurosurgical health care policy standpoint (the “Clinical Outcome Targeted Training Curriculum”). The proposal for the steering committee will be submitted to the Dandy Board for approval. The recommendations of the steering committee will then be put forth in the form of a white paper. 1. Adult cardiac surgery in New York State report Available at: http://www.health.ny.gov/statistics/diseases/cardiovascular/heart_disease/docs/2008-2010_adult_cardiac_surgery. 2. Hannan EL, Siu AL, Kumar D, Kilburn H, Chassin MR. The decline in coronary artery bypass graft surgery mortality in New York State. The role of surgeon volume. JAMA. 1995;273(3):209-13. 3. Chassin MR. Achieving and sustaining improved quality: lessons from New York State and cardiac surgery. Health Aff (Millwood). 2002;21(4):40-51. 4. Peterson ED, Delong ER, Jollis JG, Muhlbaier LH, Mark DB. The effects of New York’s bypass surgery provider profiling on access to care and patient outcomes in the elderly. J Am Coll Cardiol. 1998;32(4):993-9. 5. Cross DT, Tirschwell DL, Clark MA, Tuden D, Derdeyn CP, Moran CJ, Dacey RG. Mortality rates after subarachnoid hemorrhage: variations according to hospital case volume in 18 states. J Neurosurg. 2003;99(5):810-7. 6. Solomon RA, Mayer SA, Tarmey JJ. Relationship between the volume of craniotomies for cerebral aneurysm performed at New York state hospitals and in-hospital mortality. Stroke. 1996;27(1):13-7. 7. Clement RC, Carr BG, Kallan MJ, Wolff C, Reilly PM, Malhotra NR. Volume-outcome relationship in neurotrauma care. J Neurosurg. 2013;118(3):687-93. 8. Dasenbrock HH, Clarke MJ, Witham TF, Sciubba DM, Gokaslan ZL, Bydon A. The impact of provider volume on the outcomes after surgery for lumbar spinal stenosis. Neurosurgery. 2012;70(6):1346-53. 9. Barker FG, Curry WT, Carter BS. Surgery for primary supratentorial brain tumors in the United States, 1988 to 2000: the effect of provider caseload and centralization of care. Neuro-oncology. 2005;7(1):49-63. 10. Smith ER, Butler WE, Barker FG. Craniotomy for resection of pediatric brain tumors in the United States, 1988 to 2000: effects of provider caseloads and progressive centralization and specialization of care. Neurosurgery. 2004;54(3):553-63. 11. Englot DJ, Ouyang D, Wang DD, Rolston JD, Garcia PA, Chang EF. Relationship between hospital surgical volume, lobectomy rates, and adverse perioperative events at US epilepsy centers. J Neurosurg. 2013;118(1):169-74. 12. Mclaughlin N, Laws ER, Oyesiku NM, Katznelson L, Kelly DF. Pituitary centers of excellence. Neurosurgery. 2012;71(5):916-24.